Birankai North America Summer Camp will be held July 18-23, 2014 at Pacific University at Forest Grove, Oregon, with featured guest instructor Yoko Okamoto Sensei, 6th Dan, of Aikido Kyoto. 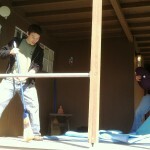 Watch for more information here at BiranOnline after the new year. This interview appeared in Biran in 2002. The interview was conducted in Japanese and translated by John Brinsley. Q: Sensei, when and where were you born? A: February 26, 1945. In Yamaguchi prefecture, in a village called Obatake..
Q: How big was your family? A: I have two older brothers, an older sister, and a younger sister. Five of us. A: Well, of course I was a diligent student! (laughs) No, that’s not true. I was raised in a small fishing village near the Japan sea. We weren’t fishermen, although we fished some. My father was a priest. It was a pretty poor village. Ate a lot of sweet potatoes as a kid. But there was a lot of fish, too. I never thought of us as poor. There was always enough to eat. And there was fruit from the mountains nearby. 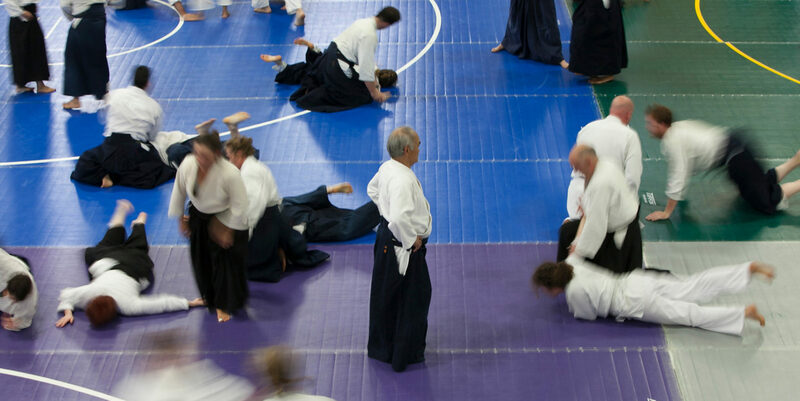 Life, death and the role of teachers were among the topics tackled by a group of 32 Birankai aikidoka this weekend at Bucks County Aikido’s 10th annual sesshin with Genjo Marinello Osho. 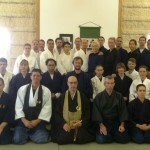 Practitioners from as far as New Mexico, North Carolina and Michigan gathered at the farm of George and Patti Lyons to train in Rinzai Zen and Aikido weapons as they enjoyed the mostly mild weather. Everyone survived, and sat strong. 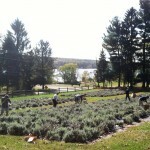 For the first time, sesshin participants also harvested lavender as part of the samu – or mindful work – period at the conclusion of the retreat. 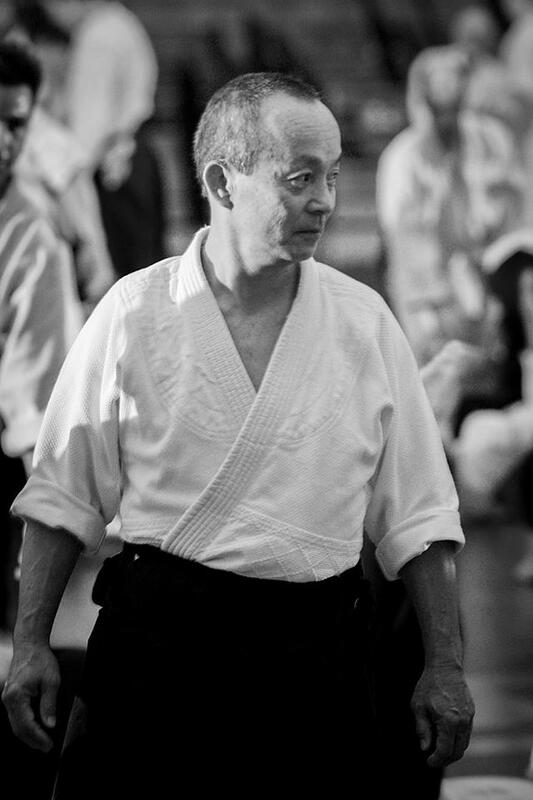 In the early hours of the final day, members learned of the death of Mark Murashige Sensei, a treasured Aikido teacher in San Diego. A sizable group of us at sesshin had lived in San Diego and benefited from Murashige Sensei’s generosity, good humor and infectious enthusiasm for Aikido practice and life. We sat with our grief and concern for his family and friends. in the darkness of ignorance. 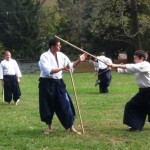 Sesshin at Bucks County Aikido 2013 with Genjo Osho. 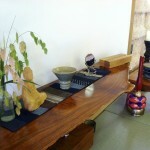 Samu work at the dokusan house. Samu work in the kitchen for the final meal. 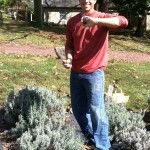 Samu outside harvesting lavendar — a final fall crop! 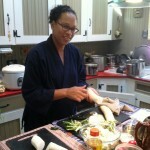 The sesshin kamiza with wild oats from Roman’s garden. Frank shows off his lavendar haul.